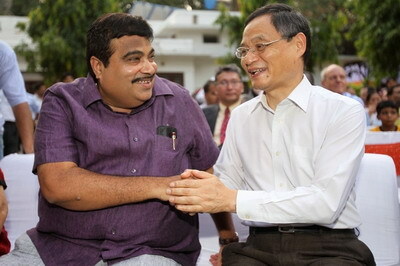 On August 1, 2011, Chinese Ambassador to India Zhang Yan, as chief guest, attended the Hariyali Teej celebration hosted by Bharatiya Janata Party(BJP) President Nitin Gadkari. The two sides exchanged views on strengthening bilateral relations as well as the relations between the Communist Party of China (CPC) and BJP. Senior leaders of BJP and foreign envoys from the UK, Russia and Israel, etc. , altogether more than 200 people participated in this event.